Almost everyone gets his/her phone. 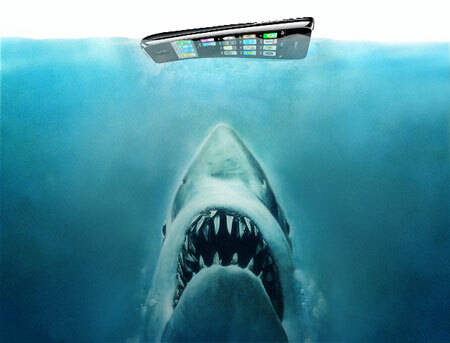 But what will you do if your phone drop into water or other liquid one day in the unexpected occasion. Don't worry, we get experience to deal with this. 3 drop into non clean water when it’s power on, include drop into corrosive liquid, thick liquid or other dirty liquid no matter your phone are power or power off. For the former two situations, it gets great chance to save your phone and it will not affect you to use the phone. For the third situation, it depends on your luck. PPC in pocket will also get bad if getting bad luck. The most concerned questions is how to deal with the drop into water phone. It’s bad for you to believe that the phone is useless for the former 2 situations. And take the phone apart by your will. Some common tips on dealing with three situations. 2 Shakes off after with your strength, aim to shake water off from the screen. If the screen leaves water drops, it will leave mark after dry. 3 Put the phone below the desk lamp to heat the water off slowly. It takes about 6 hours or even more. 4 But keep in mind don’t use hair drier or other strong heat to drive the water away from your phone. Your phone can go back to work again after the three steps. 3 Don’t do as the third point in the first situation If there are something remain on the phone screen, For the phone screen may look ugly though the electronic circuit can work as usual. You can send the phone to the nearby after service center. ﹙3﹚ drop into non clean water when it’s power on, include drop into corrosive liquid, thick liquid or other dirty liquid no matter your phone are power or power off. This is the most troubled situation. But there is great chance to recover the phone if with proper way. Or you can watch this video, it tells your How to repair any water damaged phone in 1 HOUR!! !